The Cardinals team (players, family) is planning a trip to go see the minor league T-Bones baseball game out at Community Ballpark by the Racetrack on May 20th, a Thursday. Kyles family has a connection with the T-Bones team and can get us good seats and maybe a trip to the locker room to meet the ball players. Prices are determined by where we sit and how many tickets we can purchase. We will also get a deal on those tickets. They may also give us some souvenier/merchandise to give to the players when we visit. We will also go to a Royals game as a team (players, family). The date is May 10th a Monday at 7:05. They are the upper deck Hy-Vee seats. Tickets are $6.00 a piece. We have done this in the past with Cardinal teams and the players and the parents have had lots of fun. If anyone has connections to the Royals that could get the players a chance to meet the players or tour the locker room etc please let me know of anything I could do to make that happen. These are voluntary team activities. And sometimes the Cardinals will do stuff as a team that costs money. 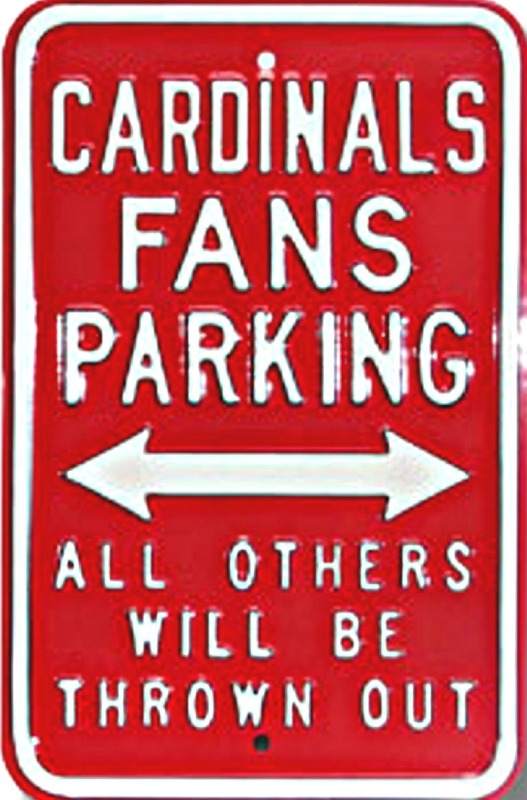 The Cardinals team policy is that no player will be unable to attend a team function because of monetary reasons just let coach know and he will take care of it personally and discreetly. No one but the parent and Doug will know. If you or the rest of your family cant make it but you want your son to go, Im sure that we can find another parent that will give him a ride to the game with their family. The last time we did this we had everybody but one player make it to the game. The players and families had a blast even though we had to sit up in the nosebleed section. Let me know if you are interested in these Cardinal team trips to see professional baseball and how many tickets your family would need. Technology Fields. No news on getting a new practice field. on Thursday 6:30 - 7:45. It's over by Legacy Park. There is a map on the website to his house. We will be videotaping the players pitching motion to aid in their development. 3. We have canceled Friday Fun night. We will reschedule later. 4. We have canceled the Saturday practice. they will be ready by Friday of next week for the tournament. back and the players number. The players may keep the current one for a practice hat. to clear up the team deficit. The team account is back to being balanced with a small surplus. 8. There are several changes to the practice schedules on the website. 9. The Lee's Summit League games has been added to the website. back off on the practices. tournaments. We don't want to make the trip unless we are playing sharp baseball and the team chemistry is right. Let us know your opinion about the end of May when we have to commit to the tournaments. 12. When you see the times on the website calendar for the tournaments please don't pay attention to these times. Also if you see a game and practice on the same day ignore the practice. I would have to enter in each practice to get rid of some of those duplicates. 13. For those of you that didn't hear that asked about Coach Tim. He had planned a fishing trip with a sick friend before he and Luke even knew that they were going to be on the Cardinals team. He will return soon. Ive been told our tournament schedule for this weekend. We will play Friday at 6:00. Saturday night at 7:00 pm and Sunday at 9:00 am and Sunday at 3:00 pm. I will send the tournament schedule when I receive it from the LSBA. We will have a scrimmage against the Giants on Wednesday at the Longview fields. We will try to start at 5:00 or as soon as we can get enough players there and they can get enough players there. It will be a learning scrimmage. We will play till 3 outs are made or we have batted through the order and then the inning is over. We will use this scrimmage to get our pitchers and our defense some work. We have a parent that wants to change from the 7:00  8:00 slot in the batting cages to the 6:00 -7:00 slot. If you would like to change from the 6:00 -7:00 slot to the 7:00-8:00 slot please let me know. We will have a mandatory team/parent meeting on Tuesday March 2nd at 6:30 at Summit Fitness before the scheduled 7:00 practice. Both parents and any other adult support that are involved with your son are expected to attend. This is a very important meeting. We have several goals to accomplish at the meeting. 1. We will formally announce the teams plans (tournaments, practice days) for the season. 2. Provide you with a team information package and review the contents. 3. Review the team rules and answer any questions you might have about the rules. 4. Review the Parent suggestions and player conduct policies. 5. Review the teams financial picture and collect the final contribution from the parents/players for the season. Parents get copies of team receipts. 6. Provide information to the team about the coachs expectations of the players. 7. Make sure that all forms have been signed, player uniform size taken, Cardinal T-Shirts forms turned in, team has copy of birth certificate etc. 8. Give the parents a chance to meet one another and to meet all of the coaching staff. Please bookmark the site to your favorites for future reference. Its looking good that maybe we will have a business sponsor the team and pay the League fee of $1,400. I will let you know for sure by the team meeting and we will have a final figure for the cost for the year. Bring your checkbook to the meeting. It will probably be only a $100.00 more per family but it could go to $200.00. These figures dont include the tournament fees for the State and National tournaments (we will revisit that issue after the season is under way and we see how the team is performing.) Ill let you know the exact amount before the meeting. If you are having cash flow issues just let me know privately and when you can pay the rest of your sons share of the teams expenses. Its going to be a great season to be a Cardinal. We have filled the final spots on the team and the 2004 Cardinals team is ready to roll! These players have made the Cardinals 2004 team a much better team. Myself and the rest of the coaches are very happy with the addition of these players to our team. These players not only can hit/pitch/field well but they are great kids from great families. They will fit in nicely with our "team" spirit approach. For most players this Cardinals team is going to be the most talented baseball team that they have ever played on. But I will guarantee you one thing that will be true for every player........this season will be the most fun that they have ever had playing baseball! I want every player and parent that we play this year to be thinking.....you know that Cardinals team they are one cool team....They practice good sportsmanship, have fun and also play to win.... I sure wish I was on that team.! 1. You will need to check the Cardinals website calendar at least weekly for any changes, updates etc. We will be practicing at different facilities in different towns at different times on different days. If a change was made that is less than a week away I'll send out an email to let you know of the change. The calendar on the cardinals website will always be correct. 2. Make sure you get the T-Shirt fundraising form filled out and back to me by the Mandatory team meeting. If both parents and any other adult that is involved in the players life are not able to attend the mandatory team meeting please let me know right now or I expect everyone to be there. 3. I will pass out a Cardinals team roster with phone numbers and contact information at Tuesdays practice. The roster is also posted on the teams website. I would encourage the parents to start sharing the duties of getting the players to practices and team events. Use that roster to make car pooling your friend! 4. After the players get the full roster at Tuesday's practice I expect the players to start contacting each other AT LEAST once a week. They can use the Cardinals website message board. IM's or email or telephone. They can talk about anything they want to talk about; for as long as they want to talk. I will be asking the players at the end of each practice something they learned about one of their teammates. Each player that can tell me a little bit about one of their teammates will get a baseball card. 6. Please see the previous email about what's due by the mandatory team meeting. birth certificate etc.. If you have that "stuff" now please get it to me. 7. If your player is going buy a helmet make it a red one. 8. The players will also need to buy a red belt for their pants. 9. They must have their sliding shorts on by next Wednesdays practice. 10. I would recommend that every player wear a cup but I will not make it a rule for the team but for catchers it is mandatory to wear a cup to all practices. I11. I have extra coupons from Dicks Sporting goods if you want to use them. 13. You are printing out or showing these team emails to your son's right? It's going to be a great year to be a Cardinal! Mandatory Team/Parent Meeting Rescheduled to March 16th. The mandatory Team/Parent meeting has been rescheduled for March 16th. Same time and place. The change was necessary because of registration and orientation at Lees Summit Middle Schools on March 2nd. There is still basketball practice going on and the next week after that is spring break here in Lees Summit. The new meeting date of March 16th is now current on the cardinals calendar on our website. When is the "Stuff" due? 1. The players should be contacting at least one other player at least once a week from now till the season ends. Remind the players of this until it catches on and they just automatically do it. 2. If the players want to have their own page on the website with a picture and some stuff about them. Send me a picture and the information. You can see David's, Taylors and Drew's pages to get some ideas. 3. The players must wear sliding shorts to every practice and or game (except for batting practice). Catchers must always be wearing a cup. 4. Red Belts are available from Jerry's Sport Shop in Truman Corners shopping mall. 5. If you did not get your red uniform socks at Wednesday's practice let me know on Tuesday and I'll get you a pair. 6. If you did not get the print outs of the defensive plays get with me on Tuesday. The players will use these all year. They should start familiarizing them selfs with the defensive plays. We will work therough them as the year goes along. I would suggest getting a folder for the players to put their coach handouts in so that they don't get lost. 1. Equipment Bags will be ready for the players at Tuesday's practice. We are having their first names and numbers monogrammed onto the bags. That wont be ready for another week or two. 3. The players must have the questions and quiz filled out before practice on Tuesday or they will not be allowed to practice until it is done. 1. If you need to pay the final team deposit it will be due at the mandatory team meeting on March 16th. 2. The parent/family T shirt order form will also be due on March 16th along with the money for the T-Shirts. 3. Birth Certificate copies are also due by March 16th.